Telephone-based CBT significantly improves symptoms of insomnia in menopausal women. Telephone-based cognitive behavioral therapy for insomnia may help to improve sleep and reduce hot flash interference in perimenopausal and postmenopausal women. The study results were published in JAMA Internal Medicine. Insomnia is a common symptom of menopause and is tied to compromised functioning, depression, obesity, coronary artery disease, stroke, and diabetes. 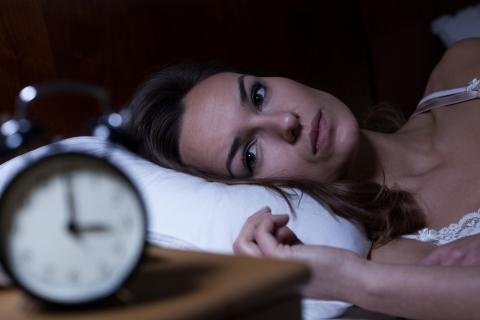 Although medications are an option, cognitive behavioral therapy for insomnia (CBT-I) is an evidence-based option that avoids the adverse effects of medications. In order to assess the efficacy of telephone-based CBT-I in perimenopausal and postmenopausal women, Susan McCurry, PhD, of the University of Washington and colleagues conducted a randomized clinical trial in 106 women aged 40 to 65. Patients were randomized to receive either 6 CBT-I or menopause education control (MEC) sessions with blinded assessments at 8 and 24 weeks. Sessions of CBT-I involved education on behavior, sleep hygiene, sleep restriction, stimulus control, and cognitive restructuring. In contrast, the MEC group received education on women’s and menopause health. Most participants completed the follow-up Insomnia Severity (ISI) assessment at 8 weeks (83%) and 24 weeks (76.4%). Baseline ISI scores were moderate to severe for insomnia in 62% of the MEC group and 58% of the CBT-I group. In the first 8 weeks, ISI scores decreased by 9.9 points in the CBT-I group and 4.7 points in the MEC group (mean difference 5.2, 95% CI: -6.1 to -3.3, P<.001). At 24 weeks, the difference remained significant between the CBT-I and MEC group (mean difference -4.0, 95% CI: -6.0 to -1.9, P<.001). At baseline, most women (92.5%) had a Pittsburgh Sleep Quality Index (PSQI) in the range of poor sleep quality. At 8 weeks the PSQI decreased by 4 points in the CBT-I group and by 1.4 points in the MEC group (mean difference -2.7, 95% CI: -3.9 to -1.5, P<.001), which was maintained at 24 weeks (mean difference -1.6, 95% CI: -2.7 to -0.5, P<.001). Women receiving CBT-I were more likely to score in the range of good sleep quality on PSQI than the MEC group at week 8 (OR 5.6, P<.001) and week 24 (OR 3.7, P=.006). Further, improvements were also reported for sleep efficiency, wake time, and sleep latency in the CBT-I group. Notably, hot flash interference decreased in the CBT-I group compared to the MEC group at 8 (P=.03) and 24 weeks (P=.003). “To our knowledge, this is the first and the largest study to show that CBT-I helps healthy women with hot flashes sleep better,” Dr McCurry told Neurology Advisor. McCurry SM, Guthrie KA, Morin CM, et al. Telephone-Based Cognitive Behavioral Therapy for Insomnia in Perimenopausal and Postmenopausal Women With Vasomotor Symptoms: A MsFLASH Randomized Clinical Trial. JAMA Intern Med. 2016; doi:10.1001/jamainternmed.2016.1795.